IN THE NEWS: Kelly F. O'Donnell Honored as One of Fairfield County's "40 Under Forty"
Kelly F. O'Donnell is an associate in the Business Organizations and Finance and the Trusts and Estates practice areas. In the corporate arena, Kelly works with businesses of all sizes and assists start-ups with understanding the legal requirements necessary to run their operations. Her practice includes mergers and acquisitions, contract review and negotiation, corporate formation, customer and vendor agreements and negotiations, protection of intellectual property, corporate succession planning and tax planning advice. As a member of the firm’s Trusts and Estates practice, Kelly advises clients regarding business succession planning, health care decision-making, and estate planning. Kelly also engages in probate litigation involving both family disputes and business issues. During law school, Kelly was a judicial intern for the U.S. District Court and Honorable William I. Garfinkel. Kelly also worked as a student attorney at the Community Economic Development Clinic in Ann Arbor, Michigan, where she provided transactional legal services to nonprofit and community-based organizations. Additionally, she was a legal intern for Hawaii Appleseed Center for Law and Economic Justice in Honolulu and for the Office of the Ombudsman in Belize. 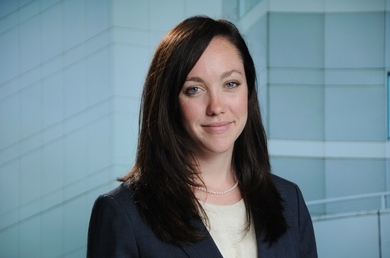 A graduate of the University of Michigan Law School, Kelly received the Award for Exceptional Service for her work as the Production Editor on the University of Michigan Journal of Race & Law.